Most Delicious Honey Cake - No Way That's Healthy! Another popular recipe I made is this honey cake. Yes, it has sugar and white flour, so if you are looking for my healthy version CLICK HERE– that one is really really good! But if you like to treat yourself once a year and enjoy a sugary piece of honey cake, this is your recipe!! 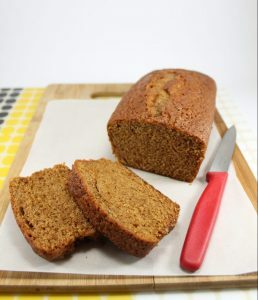 This honey cake is seriously the most delicious, hence the name! Even those who claim they don’t like honey cake love this one. So give it a try and you may find yourself going back to this recipe year after year. Preheat oven to 350ºF (180ºC). Grease and flour two loaf pans; set aside. In a large bowl whisk together the oil, honey, sugars, eggs, and vanilla. Add in the warm coffee and whisk again. Add in the rest of the ingredients and whisk till fully combined. Divide batter (will be runny) between the two loaf pans. Bake for about 35 minutes or until a toothpick inserted comes out clean. If using a bundt pan be sure to grease and flour the pan before pouring in the batter. That way it'll come out from the pan nicely.